Parota wood or 'variegated' finish provides a beautiful natural wood finish to accentuate the charm of the set. 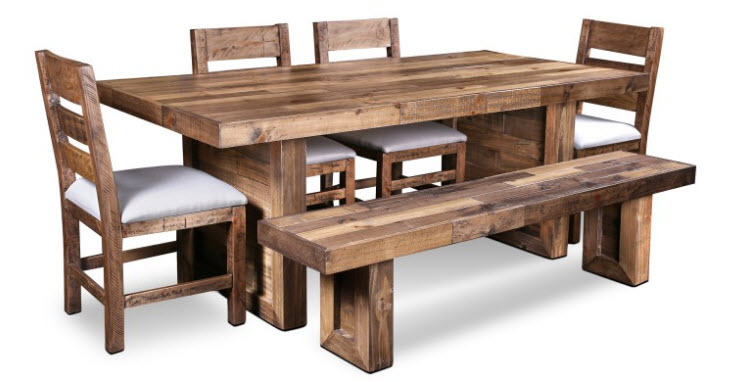 The Don Jose Dining Table comes complete with 2 Don Jose chairs and a bench for seating in two finishes. Parota wood provides a beautiful grain and finish to accentuate this elegant, contemporary ensemble. The funky 'variegated' pine finish offers funky textures and visual interest for a modern look. Overlook the Sea of Cortez while reconnecting with guests at this absolutely beautiful, versatile dining room. Also known as Guanacaste, Raintree or Kelobra, gorgeous Parota wood adds warmth to your home’s environment while at the same time elevating the aesthetic to a deep appreciation of the natural beauty of the wood. Parota, long renowned for its amazing properties of being impervious to pests, and thus ideal for Mexico’s coastal climates is not easy to work with. Artisans tell us that they can only work parota for short periods at a time. But, as you can see, they persevere and the effects are beyond beautiful. 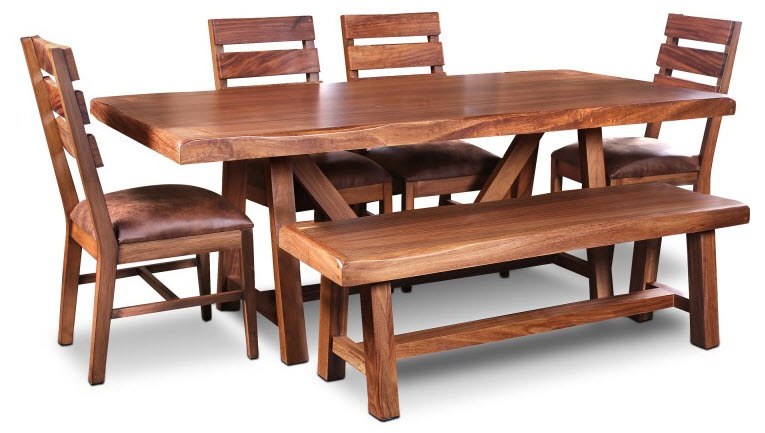 Sleek, contemporary design make this dining table a wonderful addition to your Mexican home or condo. The set includes four Don Jose chairs and bench. Assembled over a sturdy wrought iron frame, the 84" inch length can comfortably seat three chairs per side. You may substitute two chairs for the bench if you prefer, gives 4 chairs in all.